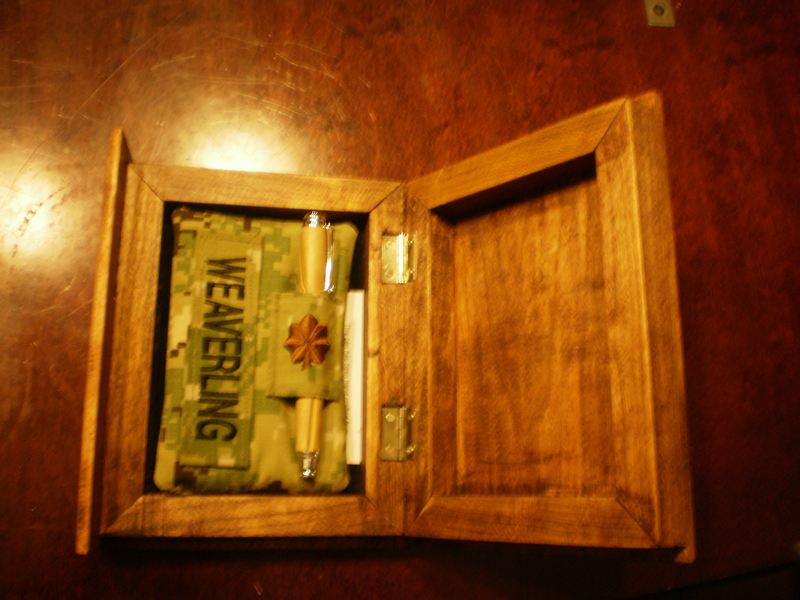 This is a keepsake box and pen set that was created as a retirement gift. The box is a hand crafted book safe made from solid cherry wood and finished with a red mahogany stain and polyurethane. Suede was applied to the bottom of the inside of the keepsake box and felt applied to the bottom outside to keep the box from scratching surfaces. 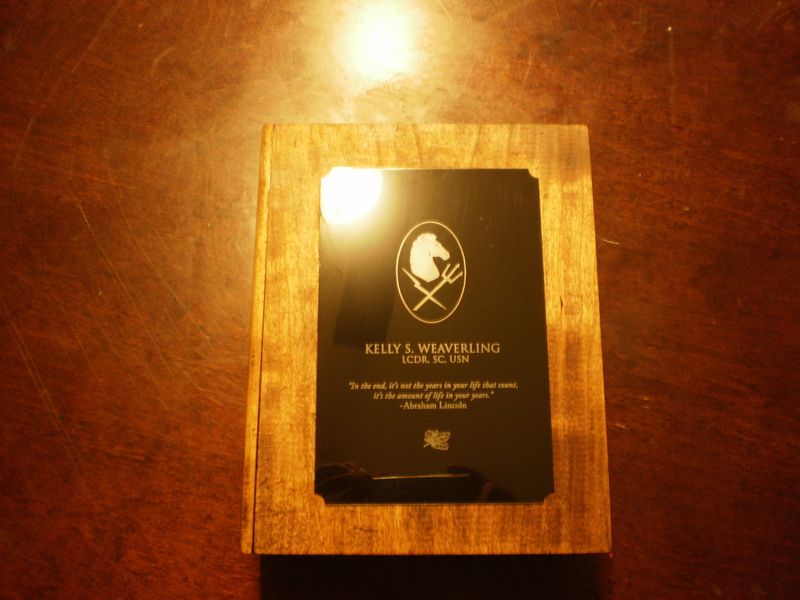 The graphic layout was put together by Louie Roybal and laser engraved on a black on aluminum plate. The pen pillow was sewn using the members uniform and name tape to personalize the gift even further. The pen was crafted out of Authentic Bethlehem Olive (with certification) and is a Rollerball style pen with postable cap and felt tip refill.